Chance McCoy / Dana Immanuel & The Stolen Band / Amy Lott. Celebrating its 12th anniversary as the UK’s first and finest Americana festival, MAVERICK FESTIVAL returns on July 5th – 7th, and we are pleased to announce new additions to this years line up. Set amongst the picturesque Victorian farm buildings of Easton Farm Park, the site is nestled deep in the Suffolk countryside, yet only two hours from London. The three-day festival presents music performances, film & workshops and features over forty different artists, across SIX stages indoors and out. Maverick Festival is renowned for spotting rising stars and getting there first: showcasing the most authentic and talented musicians from both sides of the Atlantic. Over the past decade, organisers have stuck to what they believe in, presenting exciting and inspiring line-ups year after year. This year Maverick Festival will be celebrating BLUEGRASS on the Friday night, with performances from Old Crow Medicine show’s CHANCE MCCOY, LOWLY STRUNG and Philadelphia’s MAN ABOUT A HORSE. Saturday’s programme will include a celebration of the protest song, introduced by the comedian / musician RICH HALL who will also present his celebrated Hoe-down. 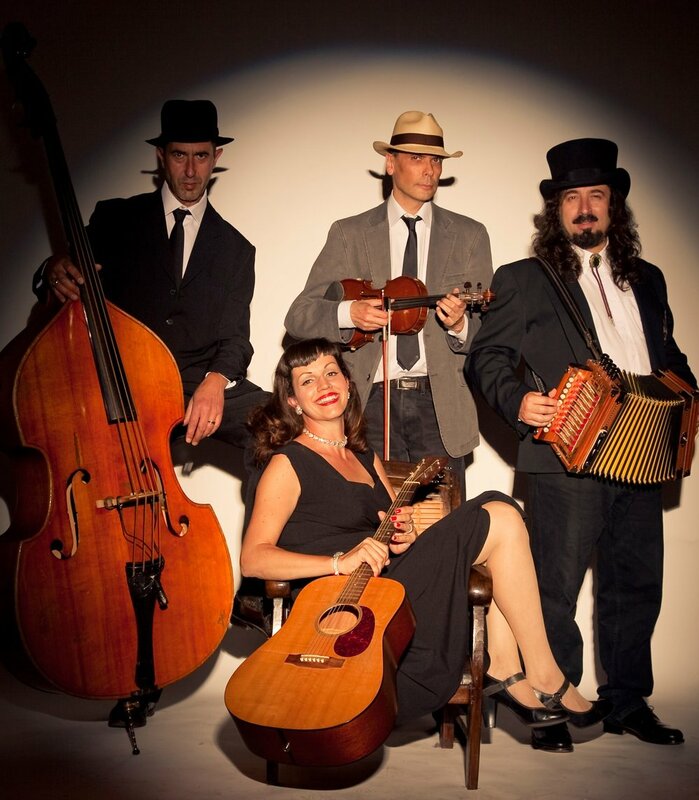 Other additions to the festival line-up include London based five-piece DANA IMMANUEL & THE STOLEN BAND; a banjo-whacking, guitar-shredding, fiddle-sawing, foot-stomping, whiskey-soaked, all-female outfit! Since 2014, they have been delighting crowds spanning the blues, rock, Americana, indie, folk and country scenes with their high-energy live show and utterly unique brand of musical badassery. We also welcome the return of Muscle Shoals native HANNAH ALDRIDGE, the queen of southern gothic rock. The sun always shines and the music is magic. Come talent spotting at Maverick 2019 - we have a lot to live up to! As well as the musical talent, the festival also features a spacious campsite, bell tent meadow and tipi village, as well as a carefully selected range of delicious food-stands catering to meat-eaters, vegetarians and vegans alike. Pizza, paella & pasta, Mexican chilli, duck pancakes & crepes, hog-roast and hand-made burgers, all washed down with freshly squeezed lemonade & freshly ground coffee, local Suffolk cider and a selection of regional ales, wine and craft beers including the Big Drop Brewery‘s award winning non-alcoholic pale ale. Also new this year, festival organisers have teamed with the ONE boxed water company to ensure the festival is plastic bottle-free!